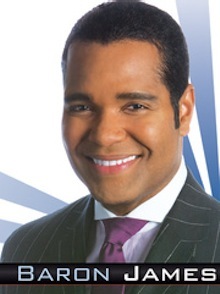 Fox4 anchor Baron James, off the air since early July, will return to the station on Wednesday, Sept. 16th, a spokeswoman said Monday. James, who does the 5 and 10 p.m. newscasts with Clarice Tinsley, had been quieted by surgery to remove a growth from his larynx. It increasingly was affecting his speaking voice. Tinsley, dean of D-FW anchors, has mostly been soloing in James' absence.